Is the concept of innovative lab design more about the design process than the actual physical space? Has it been 30 years since the last real innovation in laboratory design has been introduced? Other than the introduction and rapid incorporation of technology in the laboratory, what else has changed? 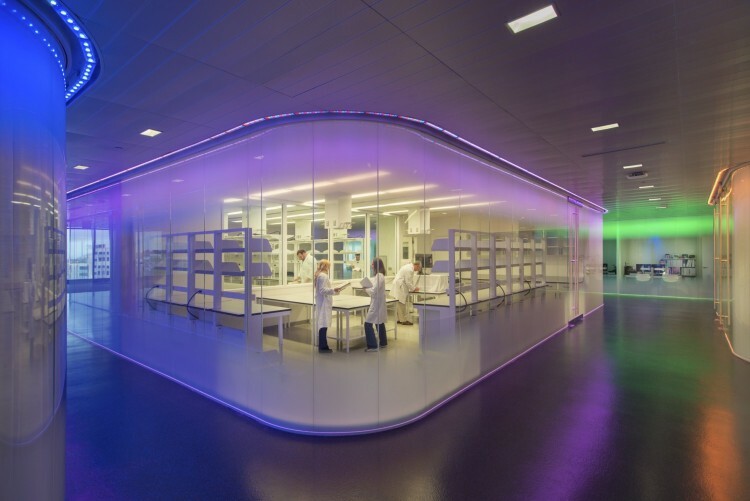 Isn’t innovative laboratory design today a mix of both research connectivity and paradigm change within an organization coupled with the physical environment? The research laboratory, which was once designed as an insular cathedral made up of smaller oratories, faced a major change thirty or so years ago with the introduction of larger, open “ball room” environments. 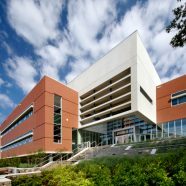 This change initially was met with skepticism and was challenged by researchers and facilities managers for its ability to deal with confidential information, safety and maintainability. Even with these real challenges, the benefits to the open environment outweighed these issues and solutions were developed to allow this new idea to germinate and grow. 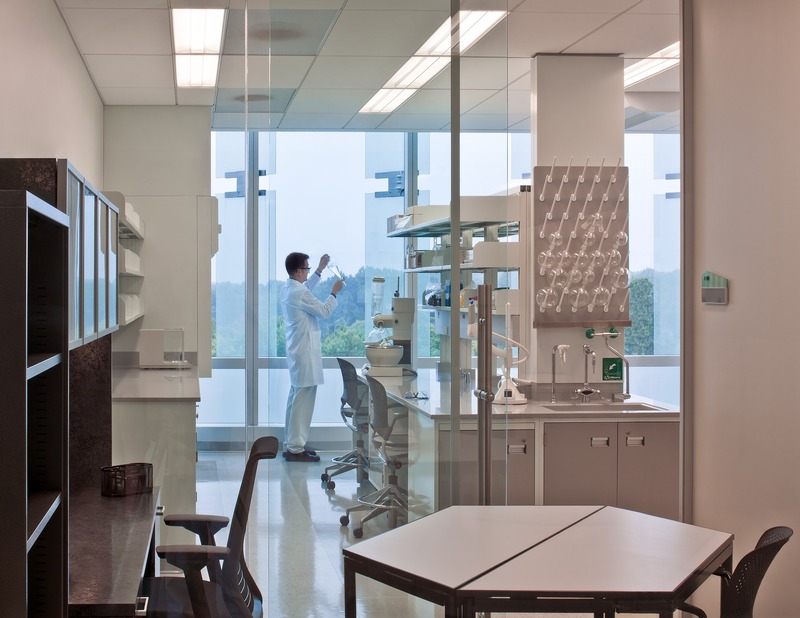 Since that time, the open lab approach has been adopted by many organizations, and over the last three decades, corporate, academic and clinical institutions have transformed from isolated dark caverns of independent research into open, light filled, collaborative enclaves where multidisciplinary activity is encouraged. Because of the this “new” design model, researchers from a variety of expertise including engineering, science, computer and manufacturing technologies now work in large, open environments. 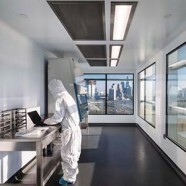 As an interdisciplinary team, these groups are attacking diseases, therapeutics, technologies and treatments using novel strategies and techniques in open, flexible and modular spaces. So the question remains: what have been the advances in laboratory design that suggest we are still innovating today? Like the open laboratory was to the cellular lab of the 1990s, technology is to the analog lab of the 2000s. Technology has been exponentially increasing in its capabilities so fast that the infrastructure placed in laboratories only a few years ago is already becoming obsolete. If Moore’s Law is applied to the planning and design of research environments, it would suggest that the equipment and technology planning done during design will be out of date by the time a project is built. Depending on the size of the project, that technology may be out of date before the construction documents are even completed. 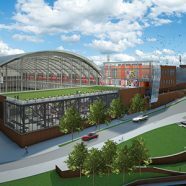 This creates an interesting challenge for any institution looking to build new research space, and for the planning consultants brought on board to create the new laboratory for their future. Innovation has been achieved through forward-thinking planning and identification of flexible zones that anticipate and provide infrastructure to support future technology that does not exist or is yet to be developed. With all of this technology comes new opportunities, tools and capacities to process data at rates that were unimaginable when the first open lab design was completed many years ago. As a result of the rapid growth in technology and its capacities, new research models, goals and targets have been created along with innovative ways to achieving them. Today, computers can generate more information than researchers and their teams can study. As a result, the methodology of practicing scientific research is changing in order to keep up and capitalize on these opportunities. Innovative designs have restructured a balance between the amount and placement of office “quite spaces” in relation to the laboratory “work shop.” This shift to an informatics research focus and the mining of “big data” has transitioned institutional thinking to explore new ideas about the physical environment and where research takes place. Because every institution is different—history, culture, mission and people—the physical environment and changes that have taken place over time within these organizations is also different. Not every institution is organized the same way, they do not have the same resources and have not moved in a collective direction. Institutions have organized themselves over the years in specific ways that support their individual character and goals. What makes this phenomenon most interesting is that some organizations change often. They have challenged organizational and physical models and are well versed in the benefits and pitfalls associated with many of them. The faculty, staff, clinicians, technicians and investigators are comfortable with change and have a mobile mindset when it comes to their space. Other institutions have used the same models of organization for generations. Some researchers know only one approach, so any new idea is foreign and creates anxiety. Regardless of which type of organization someone works for, changes made as a result of new thinking are still changes. Some design ideas are focused on standard operating procedures (SOPs), others are focused on new equipment. Some are meant to support new research goals while others may be simple upgrades to facilities. In the end, many changes result in some type of paradigm shift which, when studied closely, create the largest suggestion of innovation where the ideas may be new to the organization or user, but not the industry as a whole. What has changed over the last 30 years is the way planners and designers bring new ideas to the organization of activities and people. The level of strategic planning, historical knowledge and depth of expertise has increased significantly. Design teams commissioned to work with an organization come to the table armed with robust resources to help institutions make informed decisions. There is a greater effort to do pre-planning activities to go beyond the understanding of the functional requirements of a laboratory, to a greater understanding of the business organization, structural connections, as well as financial and business strategies of the entire organization. With this deep dive into an organization beyond just the functional lab needs come new ideas about optimization, shared resources, revenue generation, sustainability, community outreach, and of course, interdisciplinary research. 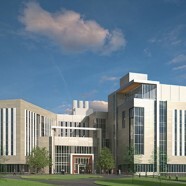 As a result of these efforts, the strategies and ideas that make up the new laboratory designs are pulled from ideas of the past and reconfigured to create a new and fresh laboratory solution for a specific institution that not only meets the functional needs of the researchers, but the financial, strategic and visionary goals of the institution. This concept is not isolated to new buildings or significant renovation projects but is also applied to simple singular lab renovations. The effort involved in providing the necessary intelligence to enhance the design of today’s laboratory is not overwhelming; however, there is still the desire to do basic laboratory design and planning, renovate spaces for new technology, create a lab for a new researchers, etc., using basic skills to layout casework and equipment. This activity, more than any, represents the bulk of lab architecture/design of the past. Sure, it works and keeps initial investments as low as possible, but at what cost to an institution’s success? It is understood that not every project needs to reinvent a paradigm, or challenge the way an institution works. In most cases, the project simply needs to work. In the end, innovation is achieved in the planning process by balancing the goals of an institution and functional requirements of a laboratory as the real challenge that when done correctly, also balances an institution’s ability to be nimble, grow with science and be fiscally responsible. 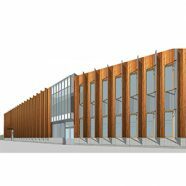 To answer my initial questions, yes, we are still being innovative today with laboratory design. The innovation in design is realized by a design team’s ability to identify a client’s real need, introduce design concepts that support the goals of the institution, and integrate those ideas with flexibility and technology. The kit of parts used to do this is not necessarily new, but the approach, ideas, organization and strategy to implement them are. This is how we’re innovating in laboratory design today.